is located at 3611 South Memorial Parkway, Huntsville, Alabama 35801. Since 1992 Dr. Harry Pennington and Dr. Wendy Pennington have been providing pet owners in the greater Huntsville area with full-service veterinary care for their dogs and cats. 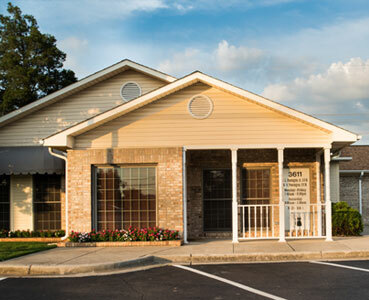 Our animal hospital in Huntsville is easily accessible from Memorial Parkway and Airport Road SW. We are near the Westbury Shopping Center, Regal Cinemas and the Jones Valley and Piedmont neighborhoods. For more detailed directions to our animal hospital, please call 256.883.4148. A member of our staff will be happy to assist you.